On February 2, the Council of the European Union, which consists of member states’ foreign ministers, released an outline of its views on Iran and related issues. The ministers reiterated their support for the nuclear deal and recognized that Iran had fulfilled its commitments. But they also expressed “concern at the growing tensions in the region and Iran's role in this context, including the provision of military, financial and political support to non-state actors in countries such as Syria and Lebanon.” The council also expressed concern over Iran’s ballistic missile program, problematic human rights record and involvement in assassination plots in Europe. The E.U. Council released the conclusions immediately following its meeting with Arab League foreign ministers in Brussels, which was meant to prepare for an E.U.-Arab League summit in Egypt on February 24-25. The European Union and the Arab League reportedly could not agree on a joint statement for the foreign minister’s meeting, according to the Associated Press. On February 5, Iran rejected the E.U. points in a statement from the Foreign Ministry. The statement criticized the conditionality of the new European mechanism for facilitating trade with Iran, launched in late January. “This is unacceptable to link the implementation of this mechanism, which is part of JCPOA (Joint Comprehensive Plan of Action)-related commitments, with the requirements of institutions such as FATF (Financial Action Task Force),” it said. The E.U. conclusions are below, followed by Iranian reaction. 1. Recalling the November 2016 Council conclusions, the European Union expresses its resolute commitment to and continued support for the Joint Comprehensive Plan of Action (JCPOA). The JCPOA is a key element of the global nuclear non-proliferation architecture and an achievement of multilateral diplomacy, endorsed unanimously by the UN Security Council through its resolution 2231. 2. The European Union welcomes Iran's continued full and effective implementation of its nuclear-related commitments, as confirmed by the International Atomic Energy Agency (IAEA) in thirteen consecutive reports, including in its latest quarterly report, issued on 12 November 2018. The European Union reiterates the need for Iran to continue to implement all of its commitments, and to continue to cooperate fully and in a timely manner with the IAEA. The European Union welcomes and fully supports the work undertaken by the IAEA in monitoring Iran's implementation of the JCPOA. 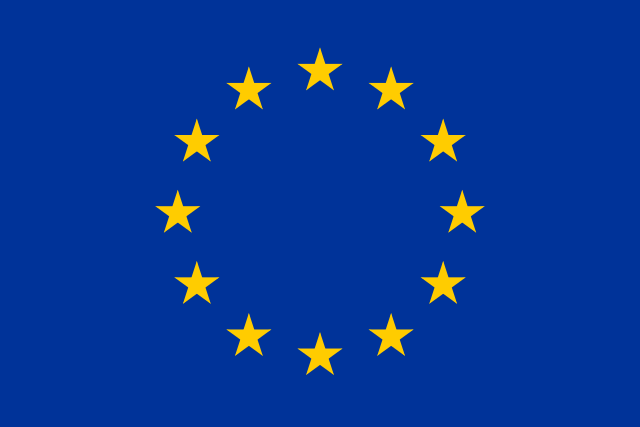 The EU welcomes Iran's commitment never to seek, develop or acquire any nuclear weapons. It acknowledges the provisional application by Iran of the Additional Protocol to its Comprehensive Safeguards Agreement, encouraging its ratification. 6. The Council expresses concern at the growing tensions in the region and Iran's role in this context, including the provision of military, financial and political support to non-state actors in countries such as Syria and Lebanon. 7. The Council has serious concerns regarding Iran's military involvement and continuous presence of Iranian forces in Syria. The European Union calls upon Iran to fully support the UN-led process on Syria in line with UN Security Council resolution 2254, and urges Iran to use its leverage with the Syrian regime to this end. It urges Iran as one of the Astana guarantors, together with Russia and Turkey, to ensure cessation of hostilities and unhindered, safe and sustainable humanitarian access throughout all of Syria, and particularly in Idlib. 8. Regarding Yemen, the European Union calls upon all parties in the region, including Iran, to support the implementation of UN Security Council resolution 2451 and to constructively work towards a lasting political solution to the conflict under UN leadership. The EU notes with concern the conclusions of the UN Panel of Experts on Yemen report, which found non-compliance with the arms embargo established by paragraph 14 of UNSC Resolution 2216.The European Union remains committed to continuing the existing EU-led political regional dialogue with Iran, with the aim of continuing to produce tangible results and fostering an improved regional environment. It recognises the results of the efforts which have been undertaken in the context of the current EU-led dialogue on regional issues. The EU welcomes, in this regard, Iran's public support for the UN talks in Sweden, which led to the Stockholm Agreement. 9. The Council is also gravely concerned by Iran's ballistic missile activity and calls upon Iran to refrain from these activities, in particular ballistic missile launches that are inconsistent with UN Security Council resolution 2231. Iran continues to undertake efforts to increase the range and precision of its missiles, together with increasing the number of tests and operational launches. These activities deepen mistrust and contribute to regional instability. The Council calls on Iran to take all the necessary measures to fully respect all relevant UN Security Council resolutions related to the transfer of missiles and relevant material and technology to state and non state actors in the region. In a broader context, the Council also recalls its longstanding serious concern at the regional military build-up. Raising baseless allegations that Iran has designed or carried out terrorist plots in Europe was baseless and surprising in the first place. Raising such empty allegations and expressing concerns at a time when notorious terrorist and criminal groups who are freely active in Europe is not only non-constructive but is in line with the goals of enemies who want relations between Iran and Europe to sour. The Islamic Republic of Iran, as one of the biggest victims of terrorist attacks who has been a pioneer infight against groups such as ISIS who even threaten Europe’s security, expects the EU to deal with these allegations seriously, while holding a realistic view and putting aside double standards.